Meanwhile, briefing a press conference Thursday at the High Commission of Sri Lanka in London, Colombo's minister Dr. G.L.Peiris said that SL President Mahinda Rajapaksa's ‘freedom of expression’ had been violated in Britain by Tamil protesters. When journalists countered him by pointing out to the status of freedom of expression in the island of Sri Lanka, Dr. Peiris said that during certain times governments are forced to take certain measures. He drew a parallel, citing the British way of handling freedom of expression during the height of IRA struggle. 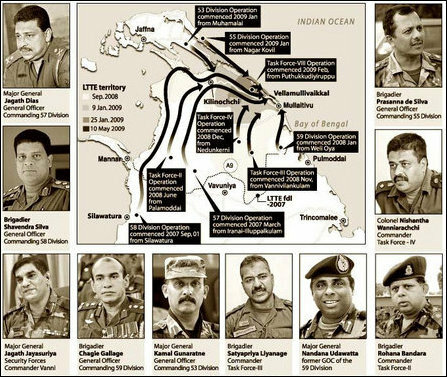 Sri Lanka never killed any civilians, Mahinda Rajapaksa told British media Thursday. “Many of our army officers trained at Sandhurst. That is why they will never kill a civilian,” he was quoted as saying by James Harding and Ben Macintyre of The Times. Mahinda Rajapaksa’s visit to London was part of a media offensive orchestrated by the lobbying firm Bell Pottinger hired by Colombo, says Sam Coates, Deputy Political Editor of The Times. In the mean time, the British Defence Secretary Dr. Liam Fox on Wednesday met Mr. Mahinda Rajapaksa who was on his ‘private visit’. Fox was tight lipped of his half an hour ‘private meeting’ with Rajapaksa. But, it seems, the British Foreign Office is not happy about the Defence Secretary getting close to Colombo. 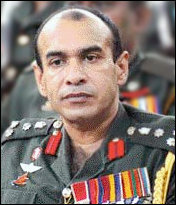 Citing a source, Sam Coates said that the Foreign and Commonwealth Office and the Foreign Secretary Mr William Hague may step in if the Defence Secretary were judged to be too close to Colombo.